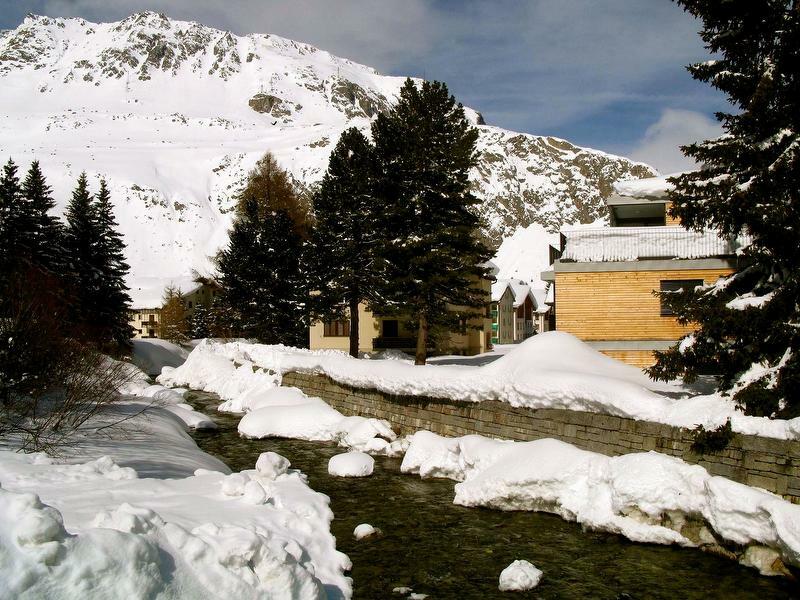 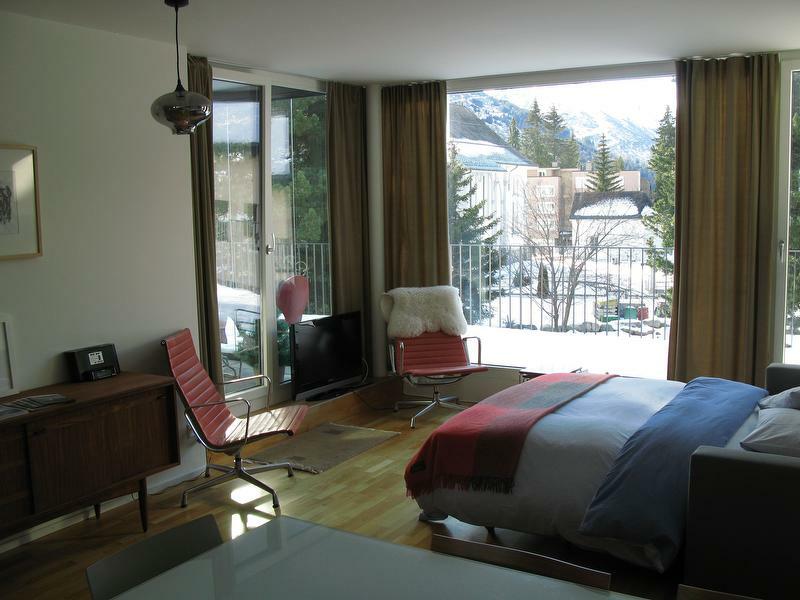 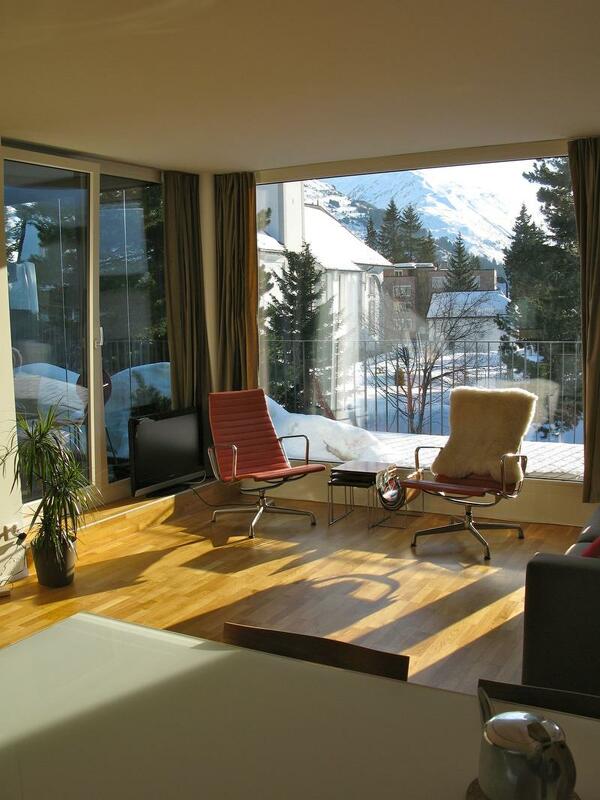 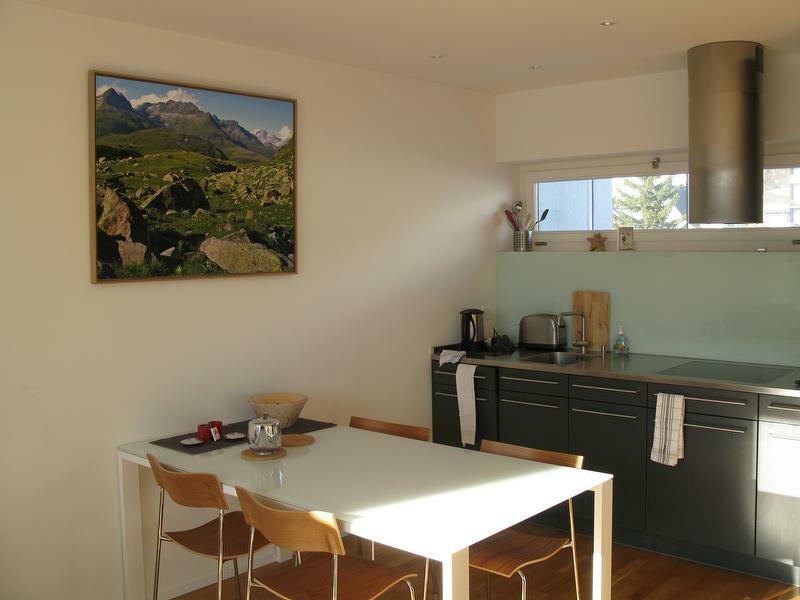 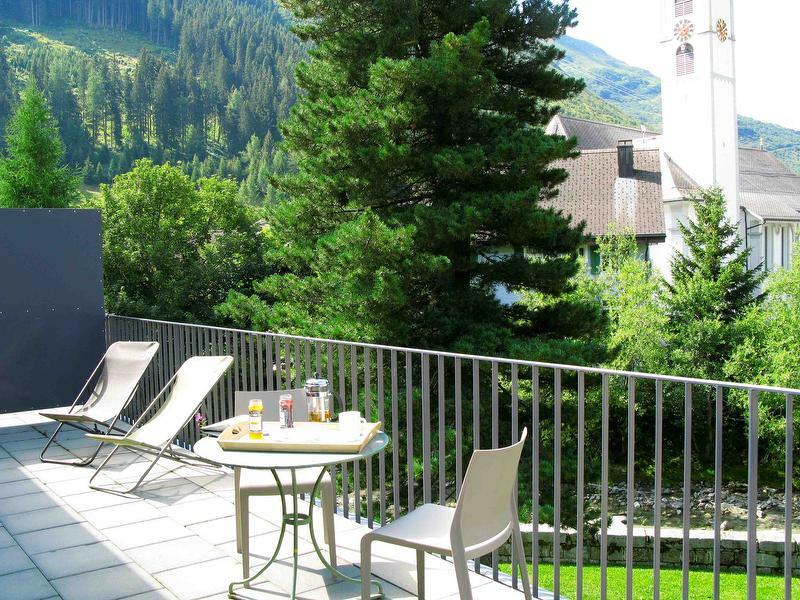 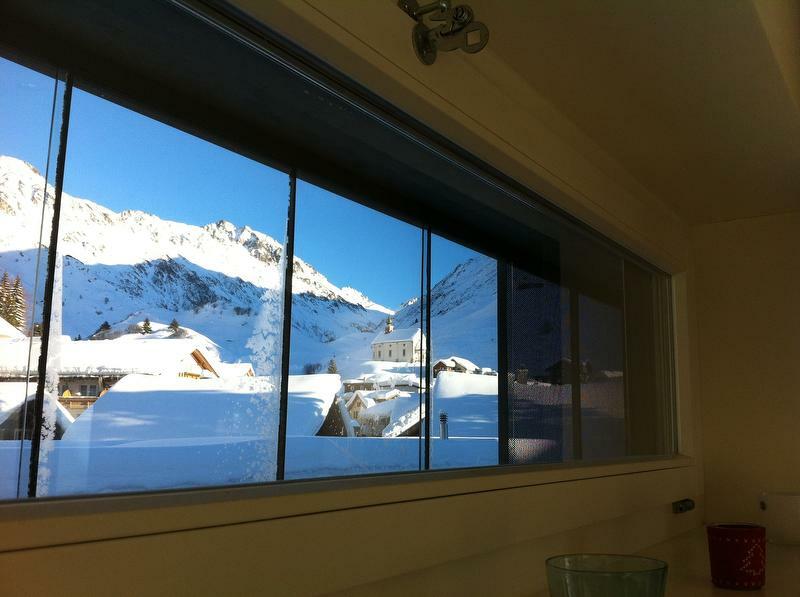 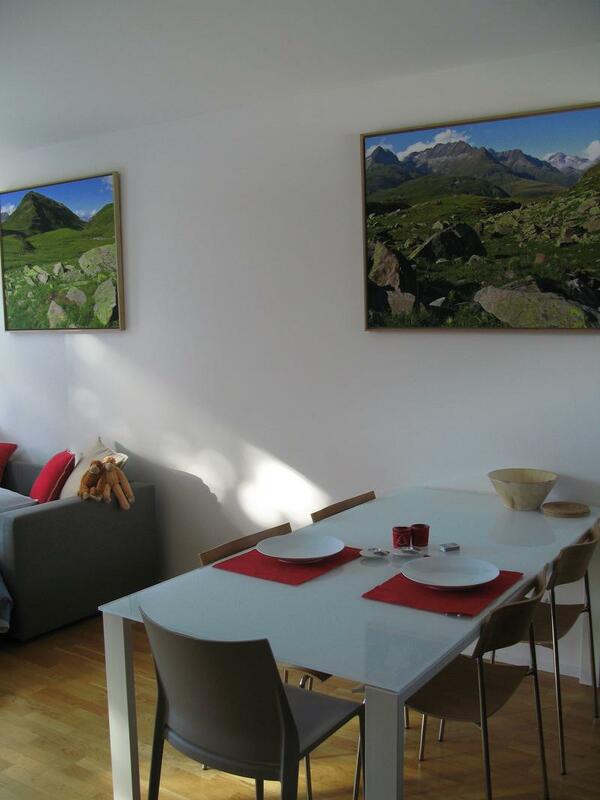 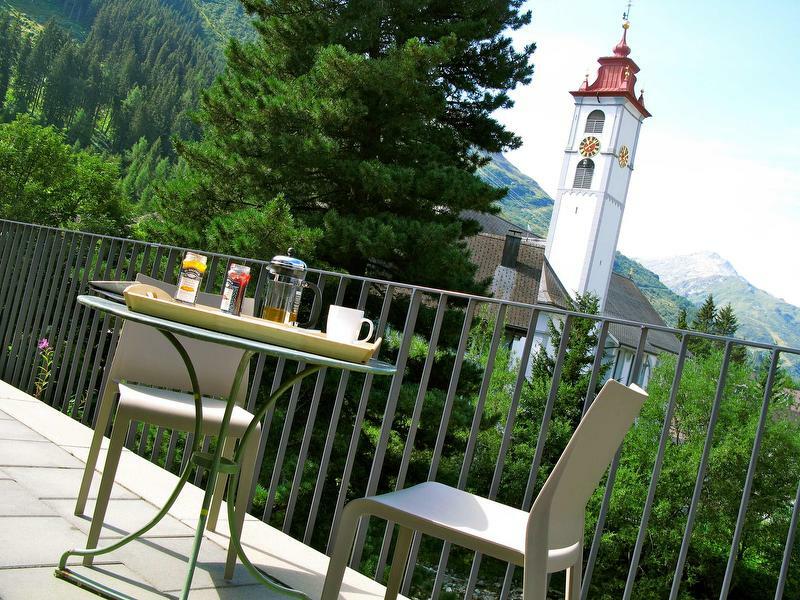 Very cosy flat for 4 people in the center of Andermatt on the river, top floor of this newly built stone, wood and glass building opposite a small white stone church. 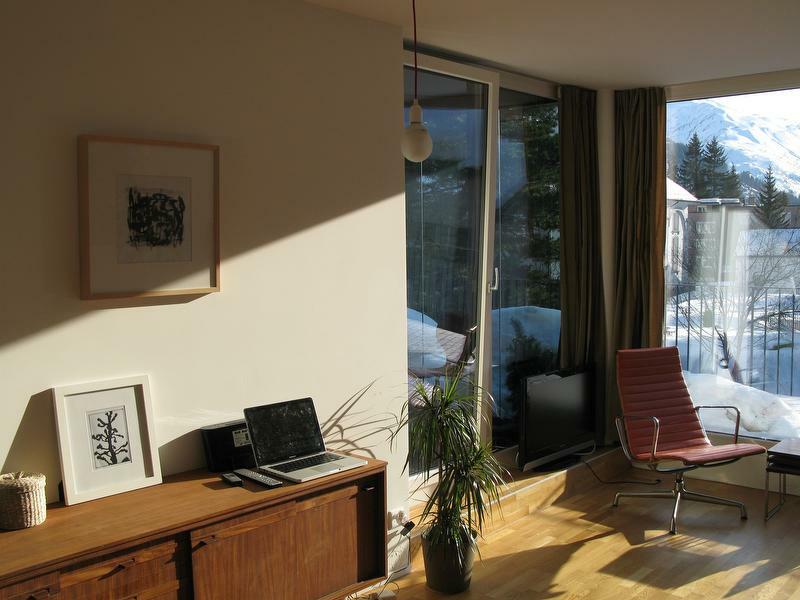 One bedroom, one large living room, one winter garden, fully equipped kitchen with 1950's design furniture large terrace looking south direction (sunny). Well located in the center of the village. 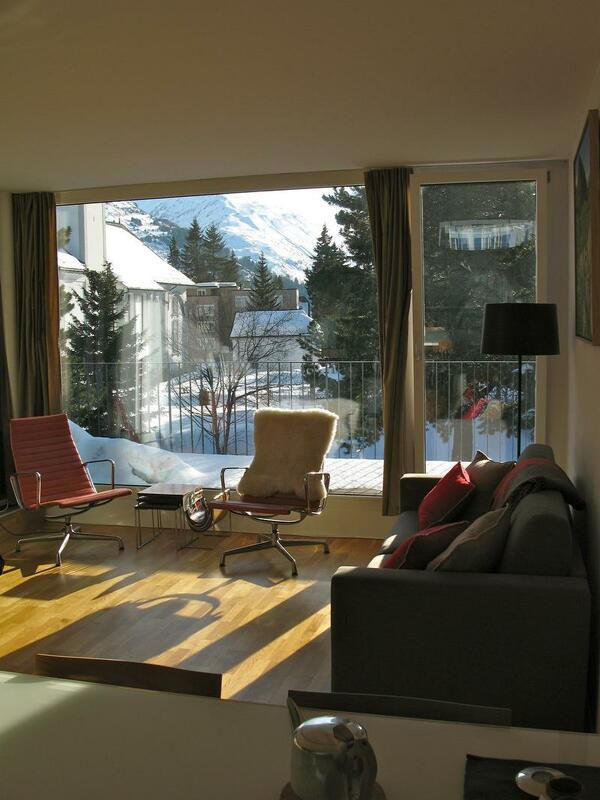 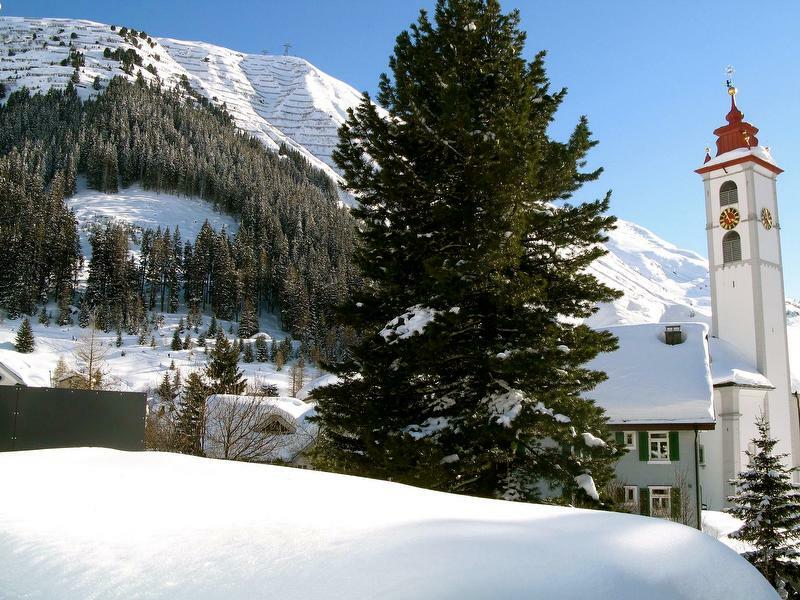 2 mins from Coop and bakery, 5 mins from all ski lifts (Gemsstock and Nätschen) and train station. 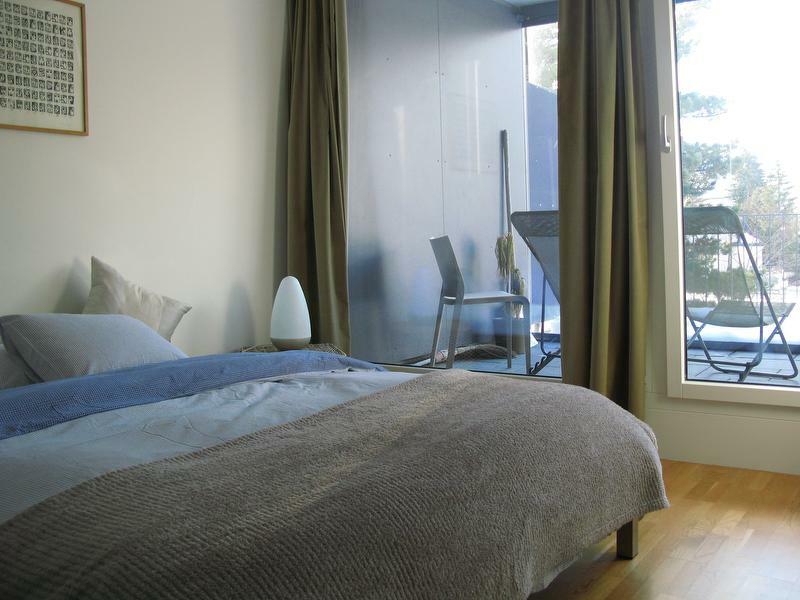 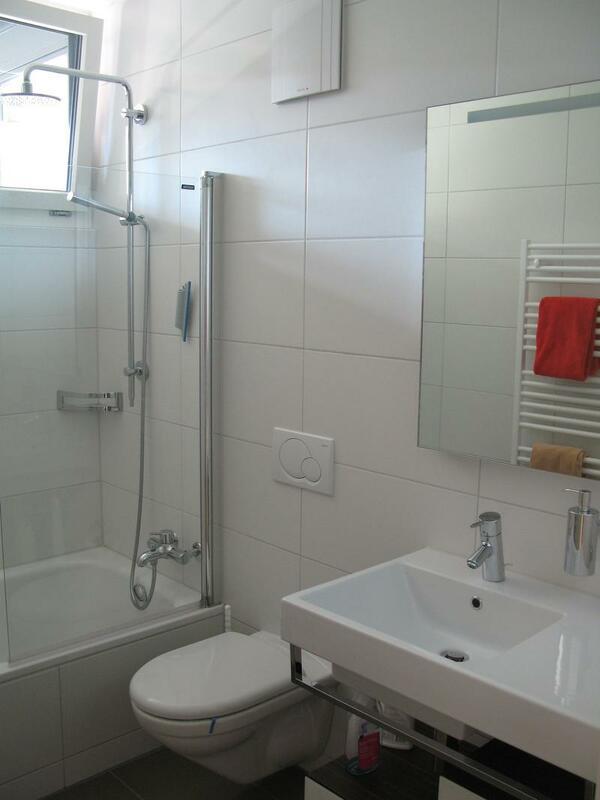 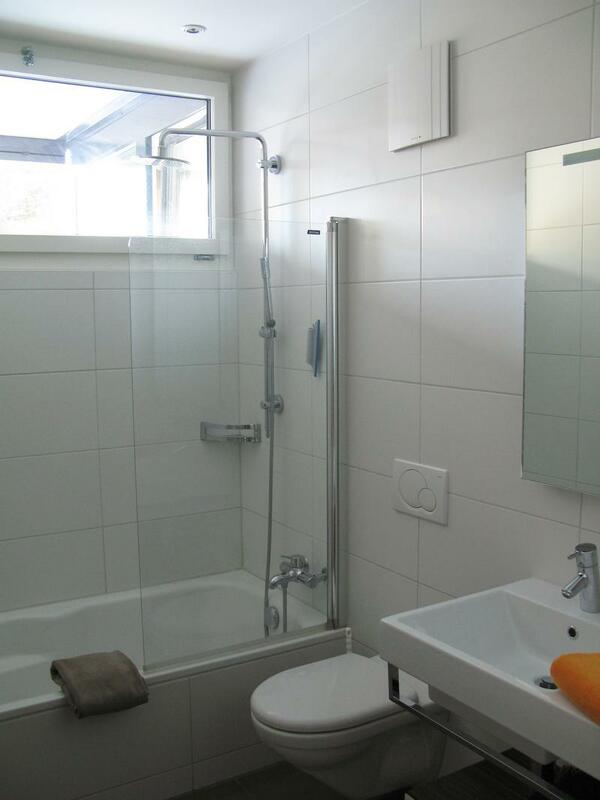 Underground parking space, sauna, washing machine/dryer, lift and individual ski lift.